Mountain Creek is one of our favorite places. 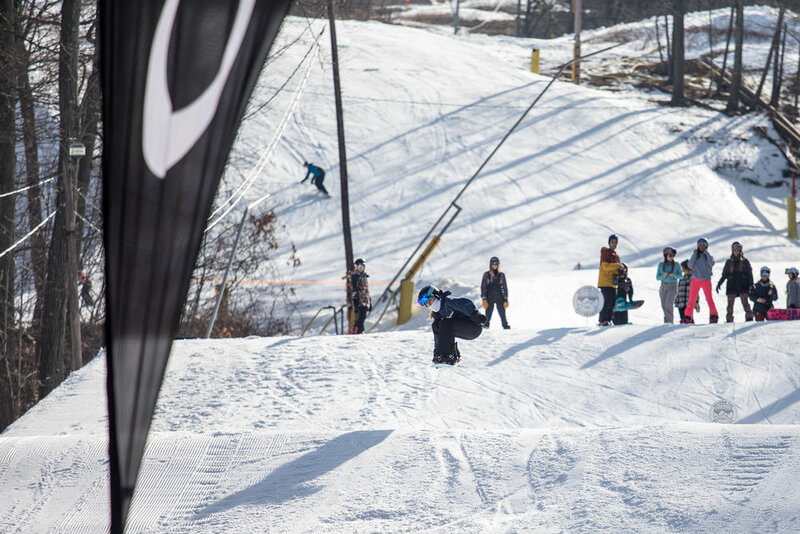 There’s an all-mountain terrain park, winding trails perfect for outside-the-park tricks, and a women’s snowboard community that is incredibly dedicated, passionate, and stoked to shred! Head Coach Christine Savage learned to snowboard at Creek, honing her freestyle skills in the mountain's jumps and jibs. We love our annual stop in Jersey and can’t wait to head back this winter! Expect a weekend full of trick-learning on hill and off hill celebration! This weekend will be loaded with all of the BTBounds favorites: pro coaching, morning yoga, goodie bags filled with products from our sponsors, Saturday apres (and a few more surprises TBA), and of course, a private park built just for our crew. Check in, get your goodie bag and enjoy light breakfast snacks from Clif Bar. Stretch out before heading on hill, break into your skills group and meet the BTB crew. Head out with one of the BTB coaches for the Saturday morning session! Meet back in the BTBounds off hill room (aka the Parents' Room) for a catered lunch. Switch coaches and head back out for more shredding! Take part in a Wend Wax clinic and get your board ready for day 2 in the BTBounds room and then head to the Kink to celebrate the day's new tricks! Stretch sore muscles and enjoy more snacks from Clif Bar and Chameleon Cold-Brew to get ready for day 2! A new coach for Session 3 will take you through Creek's park. Meet back in the BTBounds off hill room for a catered lunch. It's choose-your-own shredventure time as the coaches take stations throughout the park and you choose what your would like to focus on! Apres and awards to celebrate the weekend's accomplishments and good times! Check out more about Mountain Creek.